Sheik Muhammad Turi, the second in command to the leader of the Islamic Movement of Nigeria, Sheik Ibrahim Zakzaky and the group’s spokesman, Ibrahim Usman have been killed by soldiers. Sheik Turi and Usman were said to have been shot by soldiers in front of Zakzaky’s residence in Gyellesu area, in Zaria on Sunday morning. A senior member of the Shiite Sect confirmed the killing of the two senior members of the movement to Channels TV. 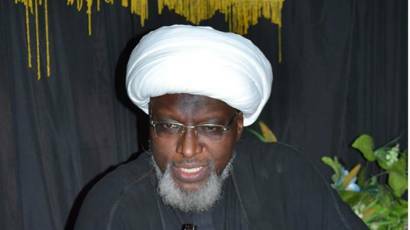 He said that both Sheik Turi and Usman were shot by soldiers when they stormed Zakzaky’s house to arrest him. But unfortunately, while the Islamic cleric was said to have escaped before the arrival of the soldiers, the two men were unlucky. He said that many of their members sustained various degree of injuries from gunshots when the angry soldiers started shooting sporadically when they could not arrest Sheik Zakzaky. He said the soldiers are still laying siege at Sheik Zakzaky’s residence and have prevented anyone from either going in or coming out of the building. Sheik Zakzaky is said to be on the run after he escaped arrest by soldiers who stormed his residence on Saturday evening. The latest development is said to have created apprehension in the ancient city as most residents have remained indoors for fear of further violence. On June 24, 2014, three sons of the leader of the Shiite sect, Sheikh Ibraheem Zakzaky were killed following a bloody clash between his members and soldiers in the same city.